Not sure what the prices of scrap metal are? There are several factors that determine scrap metal prices. Some of these factors are the scrap yard, merchant or company you decide to sell to. An honest trader will give you the recommended price for your scrap while a dishonest one will want to make as much money as he can. He or she will therefore cheat you out of your scrap by offering the lowest price he can get away with. While people may have discovered an extra income in their scrap, they have absolutely no idea on scrap metal prices; they are therefore left with no choice but to go with whatever the buyers determine. There are however some ways by which you can keep up with the current scrap prices word wide. You may chose to check the internet since there are reputable websites that post prices on a regular basis. You may also ask around from friends and relatives who sell or buy regularly. Another way is to sell directly to trustworthy companies like Scrap Metal Sydney. This is a company that uses accurate weighing machines, offers honest prices and pays promptly. Another thing that will determine scrap metal prices is availability. If the scrap is rare to come by in your area, the demand will be higher and so will the price. If on the other hand the supply is high, then the price automatically goes down. Another factor is the type of metal being dealt with. Some metals are rare to find like gold, platinum and silver. 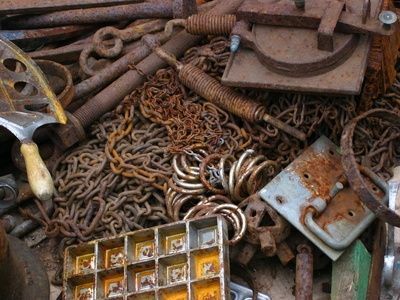 These metals remain precious even in the form of scrap and are expected to fetch a higher price when compared to others. Taxes and levies are also determining factors when it comes to price. – We use the “weigh & pay on site” system. We can supply 3,6,10,15,25 cubic meter bin for free if you have over 3 tons of steel. What dictates scrap metal prices? Scrap metal prices are dictated by laws of supply and demand. The less of the metal there is, the more valuable it is and thus fetches higher prices in the form of both scrap and new. Taxes and levies imposed on imported metal, again scrap or new is another factor that adds up to prevailing scrap metal prices. Local is always cheaper and is usually better as many factors can be controlled from securing, transporting and processing local scrap metal. The rarity of the metal is always a determinant in scrap metal prices, the rarer the metal, the higher the price. For example, gold, silver and platinum are expensive even in scrap form as these are fine and rare metals. What approaches bring in better scrap metal prices? Knowing what scrap metal is highly available in your area is one step in bringing the best metal scrap prices. Your area may be a suburban neighborhood or a part of the city with a lot of construction going on. Know the local scrap metal dealers and buyers and what is generally purchased in your area. Visit your local recycler a get a list of what they will take from you and supplement this on site activity with internet research. Prices fluctuate daily but good companies like Scrap Metal Sydney have pricelists on their site. Even if prices are not listed, you should be able to get some idea by asking. Compare prices between potential buyers and other sellers, there is a lot to learn even for experienced metal traders. Know the specifications of buyers and comply with their rules to bring in the best scrap metal prices. Specifications or rules will mostly be about sorting so separate your metal scraps. Most yards and companies are not hard to deal with, but they definitely want aluminium, copper and steel to be separate from each other. Check out their rules for how things must be prepared to make transaction flow easier for both of you. Productivity and knowledge is always good. Collecting scrap metal is not a joke; it can be fun and challenging but nonetheless, approach it with a solid business plan and a straightforward attitude. Randomly wandering around city blocks looking for scrap metal can be dangerous, so alert an adult to your activities. See what options you have for transportation. Companies like Scrap Metal Sydney have collecting services but if you have smaller stashes of scrap metal to sell, a pickup is a good choice. 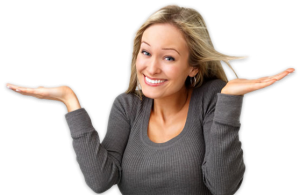 Why is Scrap Metal Sydney scrap metal prices the best? Scrap Metal Sydney has a wide range of customers, from the people and institutions we buy from to our buyers and we are fair to all. We incorporate the same integrity when buying from sellers and sources to the loyal and valuable customers we sell to ourselves. In short, doing business with Scrap Metal Sydney is good for all parties concerned and we work hard to make scrap metal supplies stable from our end keeping our prices the kind that you like- reliable. Scrap Metal Sydney is one of the leading and promising scrap metal companies in Sydney, Australia. We change how the world operates through our trusted and reliable services as we impart our contribution to clean and save the environment and to help in the recovery of our economy. It is best that you do not throw away your broken appliances or any non-functional devices. Though you may see them as refuses, they do not lose their value. They may be considered as junks but to many, they are called treasures that can still be reused, refined and processed to generate new and usable appliances and products. You can actually trade them in exchange for monetary gains. They are something worth trading for. We have the best and fair prices for your scrap metal pieces. The prices are highly dependent with the status of the market, so they can still vary for that reason. But we assure you that there are no other businesses like the way we do our trades to you, as our valuable customers. Also, if there will be changes due to certain factors in the market, we will always keep our price list updated. Definitely, we will still give great prices you deserve and the due credits to you, 100% guaranteed. The price of clean copper per kilogram is $7.00. Mixed copper will be priced at $6.00 to $6.50 per kilogram. Insulated low grade and high grade copper wires are priced at $2.00 to $2.50 and $3.00 to $3.50 respectively. Brass is priced at $3.00 to $4.00 per kilogram while aluminum is priced at $1.00 to $1.50 per kilogram. Stainless steel is priced at $1.00 to $1.50 per kilogram. The prices of radiators may range from $3.00 to $15.00 each or $1.50 per kilogram to $4.00 if sold each. For the motors and transformers, we price them at $500 per ton as we use the weigh and pay on site system. Feel free to contact us at Scrap Metal Sydney. All your scrap metal queries will be answered by our customer friendly service. We know and understand how you want the business to be.